Loughborough-RollofHonour.com - Carillon War Memorial Museum. Loughborough Carillon Tower & War Memorial Museum. 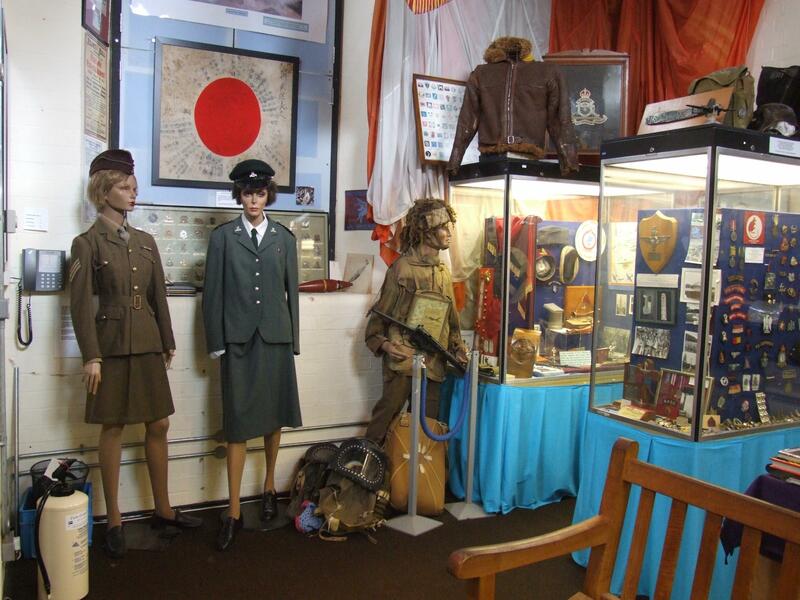 The tower and museum are located within Loughborough's beautiful Queens Park with car parks close by. 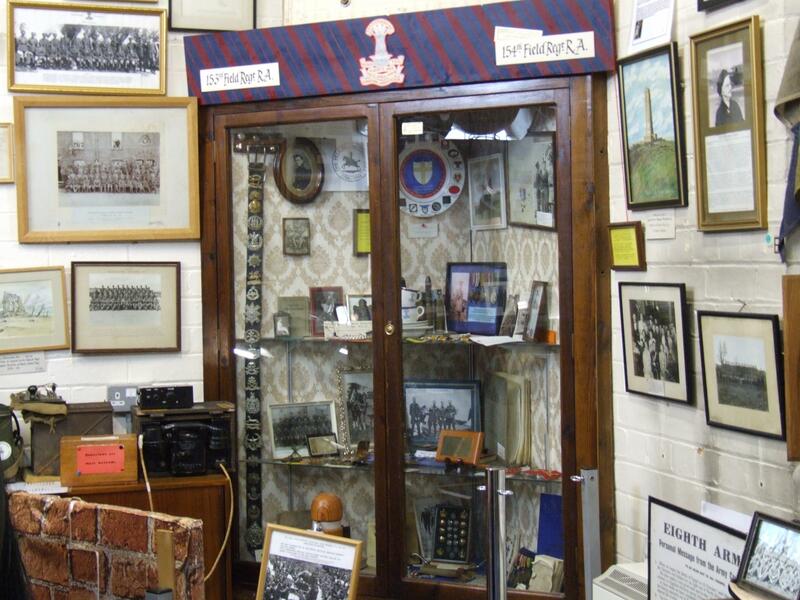 We open from Good Friday till 30th September; every day except Monday. 1pm till 4.30pm. Organized tours are welcome throughout the year outside normal opening hours. 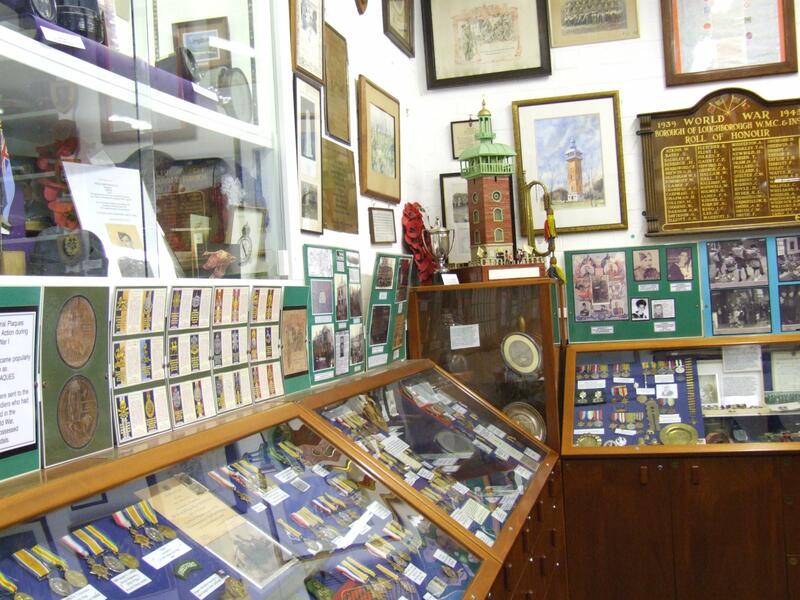 The ground floor museum is free; adults pay £1.00 to access the upper floors, the bell chamber and the balcony with views across Loughborough and the Soar valley. 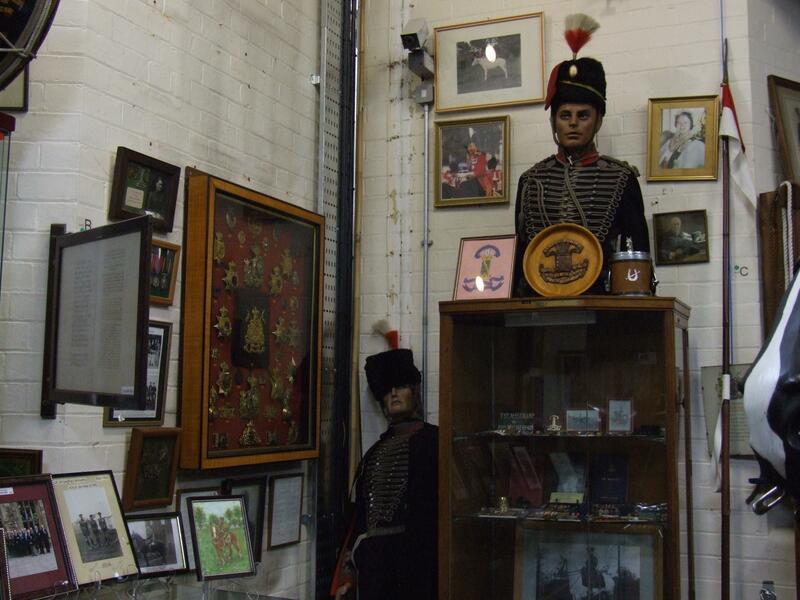 Children can access all areas free of charge but must be accompanied by an adult on the upper floors. 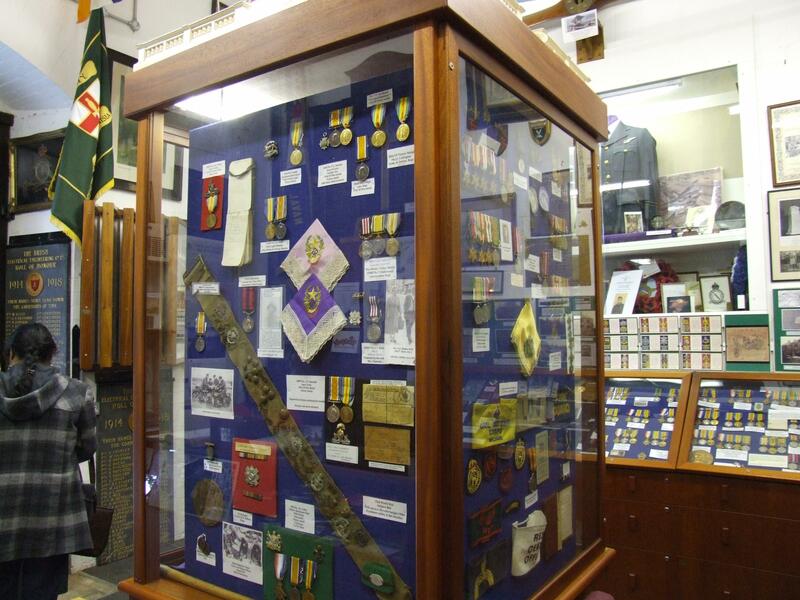 Here you will find a unique display of medals and other memorabilia. 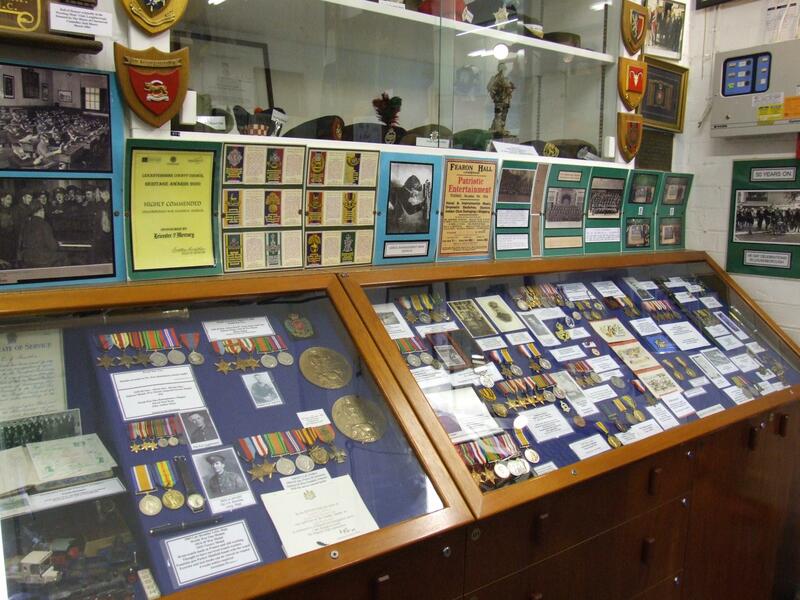 A soldier's life saved by a Gillette razor and a deflected bullet. During World War One Zeppelin raid two workers returned to the factory to turn off the lights. 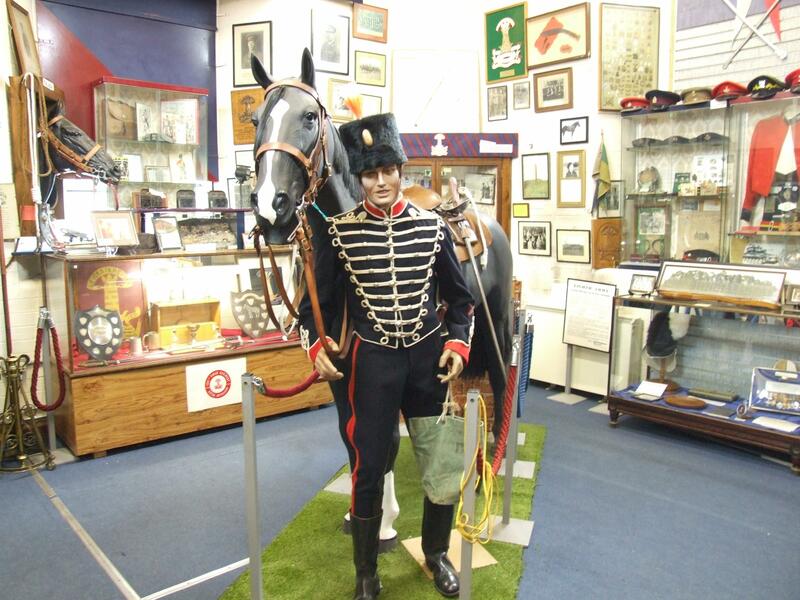 Much of this room is dedicated to the Leicestershire Yeomanry and is dominated with a full sized model horse with a soldier in dress uniform. 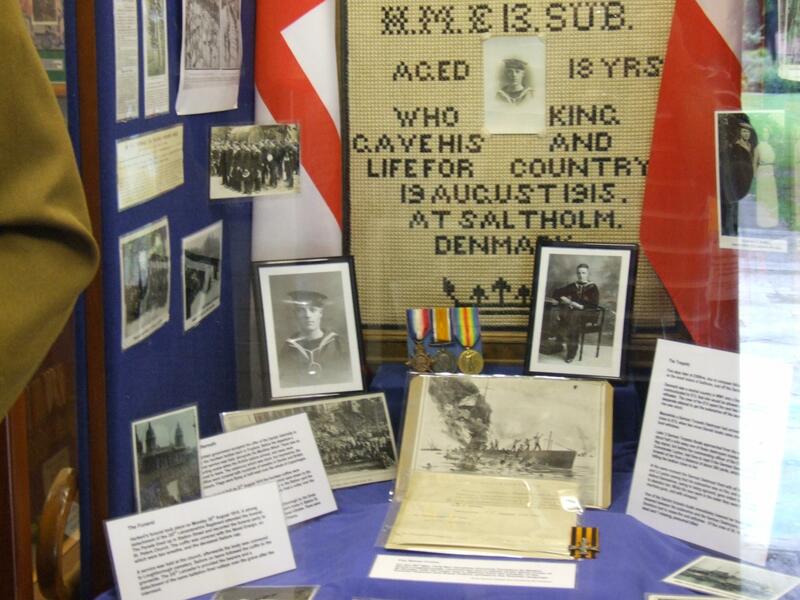 Follow the story of Loughborough's very own 'War Horse' Songster who went to war with the Leicestershire Yeomanry in 1914 and despite the many horrors of war, returned to a life in Loughborough. He was a popular guest every year at the unit's camp until 1935. 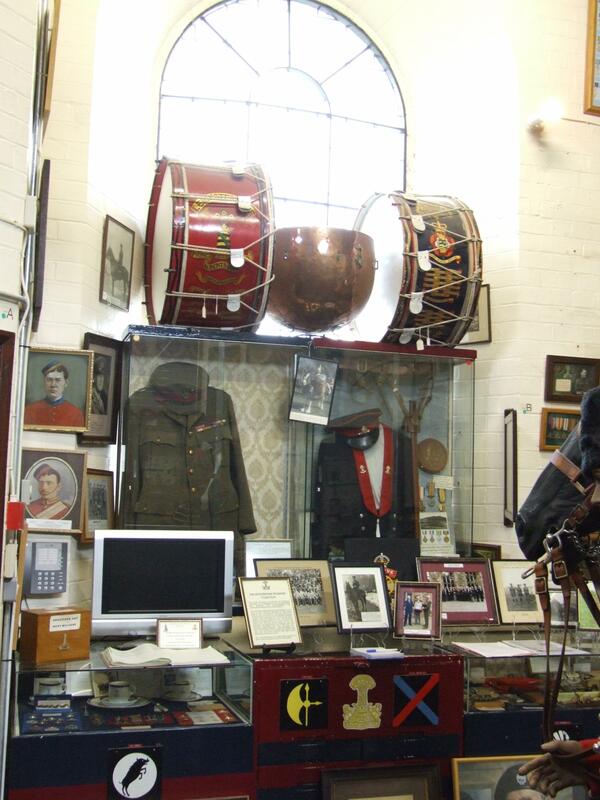 This room contains the original WW1 collection donated by the Loughborough Corporation. 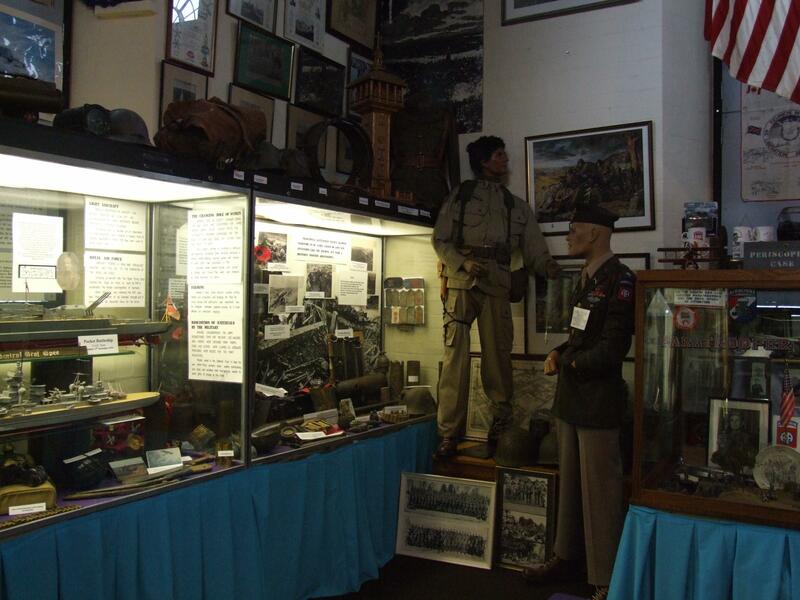 Other items displayed from the Jack Costain, the 82ndAmerican Airborne, other Allied Forces and the 505th PIR who were stationed just outside the town at Quorn. 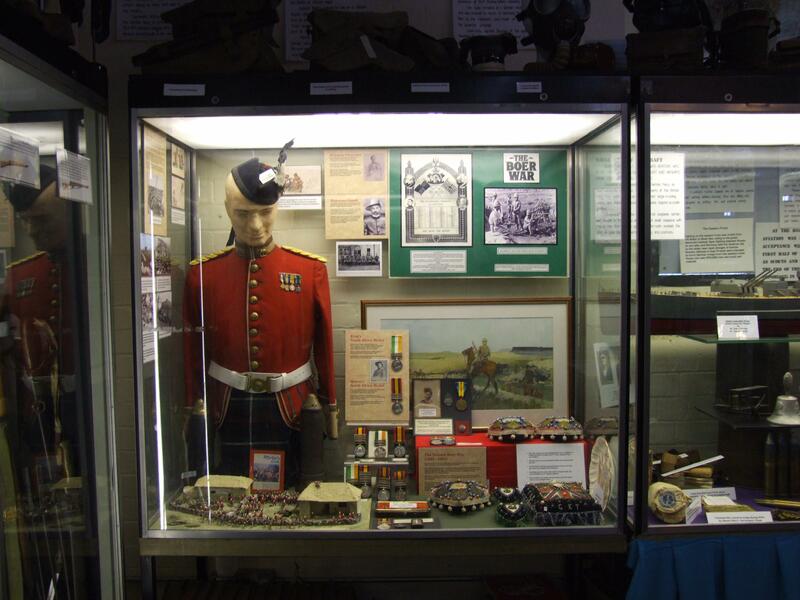 A model ATS sergeant is displayed wearing Royal Signals Insignia, showing the association with the Radio Intercept work by the Army at Beaumanor Hall & Garats Hay in the nearby village of Old Woodhouse. 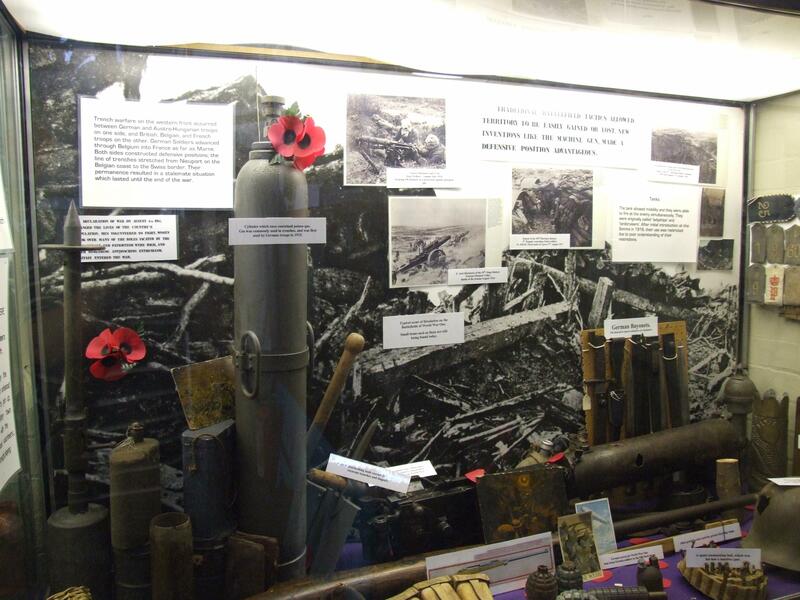 Part of the WW1 collection.